Now I don't know about you but I have always been a fan of Angelina Jolie! I think her acting is superb and she is one of the most naturally beautiful actresses on screen in today's generation! I also think she plays an amazing bad A$$! 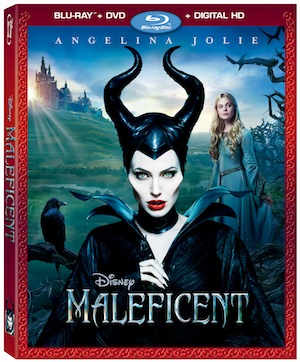 So you can be sure we will not be missing out on the release November 4th of Disney's MALEFICENT (on Disney Blu-ray™ Combo Pack, Digital HD, Disney Movies Anywhere, DVD and On-Demand)!